Bake a batch of these Cinnamon Butterscotch Blondies with Cream Cheese Topping and enjoy them with a hot cup of coffee as a pick-me-up treat. Preheat oven to 350F. Line an 8 x 8 or 9 x 9 baking dish with parchment paper. In a large bowl, use a whisk to mix together the melted butter and light brown sugar. Add 1 egg, vanilla extract, cinnamon, and salt, and mix well. Add the flour and continue mixing until a thick batter form. Stir in 1/2 cup butterscotch chips. In a large bowl (use a stand-up mixer if you have one! ), add the softened cream cheese, Dunkin’ Donuts® Extra Extra Creamer, and the remaining egg, and beat with a mixer on medium speed until smooth, approximately 5 minutes. Transfer the dough into the baking dish lined with parchment paper and use a spatula to spread it to all the corners of the baking dish. Pour the cream cheese mixture on top and use a different spatula or the back of a spoon to spread the cream cheese layer all around. Bake 350 for 30-35 mins, or until the edges of the cream cheese topping are set and the center is only slightly jiggly, and a toothpick inserted in the center comes out clean without butterscotch dough. Remove from heat and allow to cool. In a microwave-safe bowl, combine 1/4 cup butterscotch chips and 2 teaspoons Dunkin’ Donuts® Extra Extra Creamer. Melt in the microwave in 20 second intervals, stirring carefully in between (the bowl will be hot like LAVA! Be careful!). 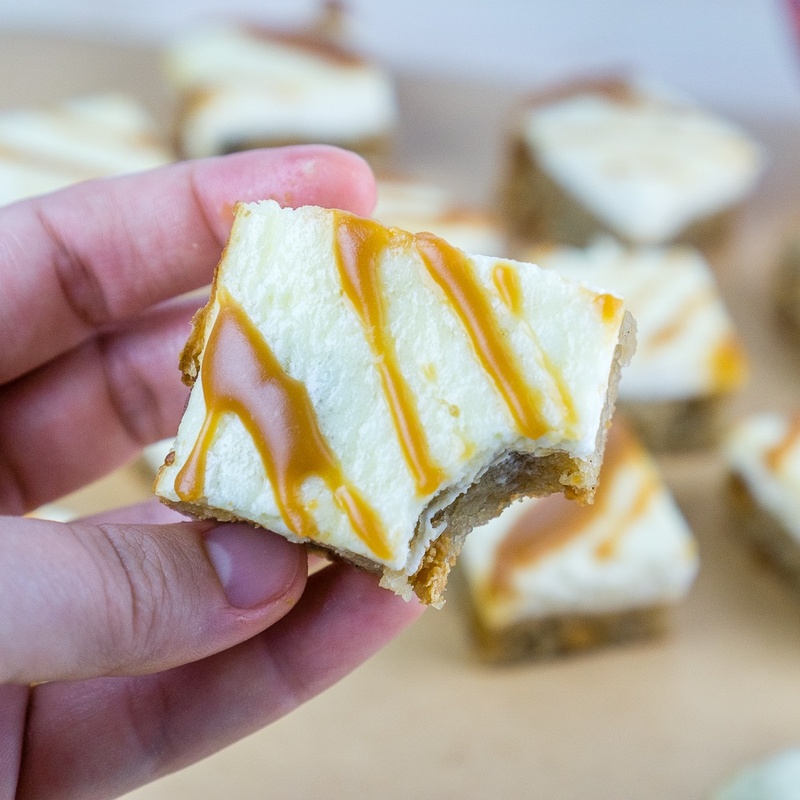 Once you have a smooth butterscotch sauce (after about 1-2 minutes of total microwave time), use a spoon to drizzle the butterscotch sauce over the cream cheese topping. Cut into 16 squares and serve with a nice hot cup of coffee!